Located North-West of Halton village, South of Aston Clinton which is on the A41 in Buckinghamshire, between Aylesbury and Hemel Hempstead. Halton was famous for the apprentice school but these days the station is home to the School of Recruit Training and other non-flying units; the station itself is East of Halton while the airfield is to the West. Halton is a nice relaxed place to spend an hour or two watching the quieter side of the RAF. Grob Vigilant T.1 powered gliders of 613 VGS are the military aircraft you'll see here. 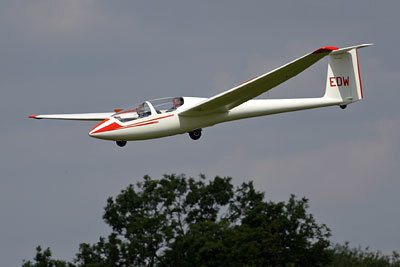 There is also a flying club with a small number of light aircraft, the University College London Union Gliding Club with a handful of gliders and there is regular microlight activity as well. 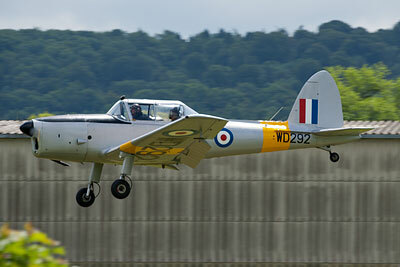 Visitors are mostly other light aircraft; the odd Bulldog or Chipmunk keeps things mildly interesting. 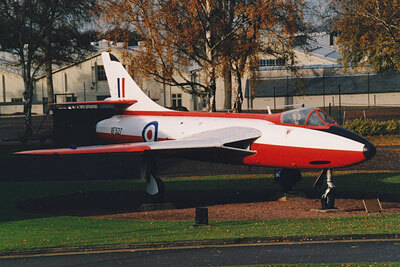 Unlike most RAF stations flying continues throughout the week (excepting Monday mornings), including the weekend, with the Vigilants often busier on a Sunday than during the week. There is never any movement past dusk - the grass runways are unlit anyway. Tuesdays can be interesting - graduation ceremonies mean there is often a flypast or display from visiting aircraft (most of which cannot stop of course!). Assuming you're coming from the A41, go into Aston Clinton and turn off onto the B4544 towards Weston Turville. You'll go past some fields on your right and soon come to a small turning to the left (signposted for Halton). Take this turn and shortly you'll see the airfield on your left. The first useful place is on the grass verge either side of a crash gate (Point A). There's enough room for several cars to squeeze in without blocking the gate. The road here is quiet enough that if you do park partially on the road no-one's going to be particularly bothered about it. From here you have a good view across the Western half of the field; there's a dip on the other side of runway 02/20 which cuts down your view of the rest. The Vigilants usually park by the mobile control tower North of the runway intersection and photos are marginal - a little too far for good shots with a 300mm lens, though they taxi closer on their way to the 02 threshold if the wind is right. 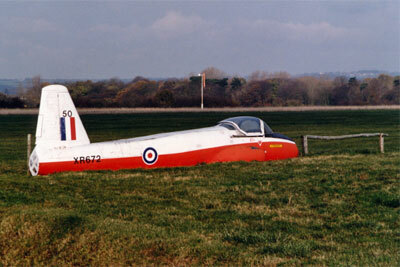 To your left you can't fail to notice a Jet Provost fuselage in use as a horse jump, within range of the smallest of lenses. Continuing South-East along the road, there's another crash gate on your left (Point B). A little less room to park either side and the verge is a bit higher but still okay for the average car. You're nice and close to the runway end here and if 02 is in use the Vigilants will taxi right past you. Anything on approach to 02 visible for miles behind you so you have plenty of time to line up your shot, though you are a little bit far away for good shots - best to walk down the (practically non-existent) fence a bit. From the verge along here you have a good view of the gliders lined up along from the hangars - in fact this side of the airfield tends to be reserved for glider operations only (the narrow runways on the map above are the glider ones), which is why the Vigilants operate from the other side of the main 02/20 runway. 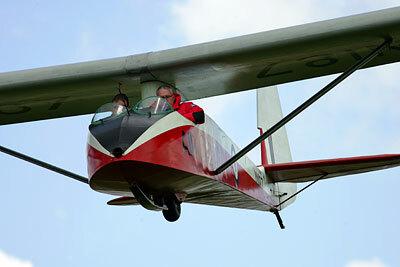 Flying club aircraft are often hangared and can appear from this side too. Within sight from this spot is a field entrance on the right hand side of the road (Point C). There's room for one or two cars here if people are careful, but often it's simply blocked by a single car. Great for head-on shots of anything landing; for anything taking off from 20, it's pot luck depending on the wind as to whether they turn away or are too high by the time they get to you. 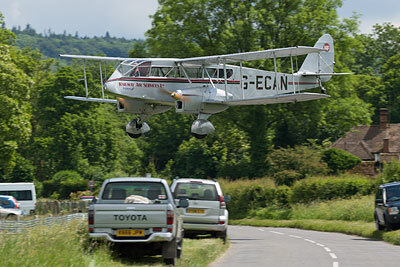 A public footpath extends across the field here and can offer some alternative angles on approaching aircraft. Our next stop at RAF Halton is for the gate guard, a Hunter. As mentioned earlier the station is split in two, so drive through Halton village and follow the road as it turns to the right. You'll see a sign for the station up ahead but ignore it and follow the road round to the left. There is a turn off to the left that leads to the recreation ground, which is used for parking when the station holds the RAF Halton At Home open days - these are advertised locally. However as it's not an open day, keep going. You'll pass through some buildings on either side of you (and a memorial on your left) and soon come to a crossroads. The Hunter is now visible on the right-hand side of the road; what you want to do now is turn right but then turn right immediately and park in the area by the fence here (Point F). If you're worried about traffic from the left, you can always drive straight across this junction and use the mini-roundabout at the station entrance to turn and come back to the parking place. The Hunter is on display in front of an office building and you have a superb head-on shot from here, and limited side-on shots if you walk the fence in either direction - it's not too high so no stepladder needed. As it's not in front of anything sensitive like the station entrance itself or a car park, nobody seems bothered about people taking photos and most people don't bother asking for permission. If you want to get shots of aircraft landing on runways 25 and 20, then you'll need to do some walking. Drive back into Aston Clinton, and from there find Church Road (sometimes marked as Church Lane on maps) and drive down to the end and park up. You can now follow a footpath across the fields to the edge of the airfield (e.g. Point E). There is a stream on the edge of the airfield and the footpath runs along the airfield side of this stream. As an alternate you can also access this footpath from just to the left of the establishment next to the war memorial in town. Please be aware that aircraft can be very low as they cross the airfield boundary! So, please look down the approach paths when walking here as gliders in particular won't be making any noise and don't have many options at this stage in their flight. They'll hurt you more than you'll hurt them! A walk further south along the footpath will bring you to the approach for runway 25 (Point F) and you can position either side of it depending on the time of day - in the late afternoon the rising ground to the east makes a superb backdrop. That's your lot for Halton. On a sunny day it can be a most pleasant airfield to watch the activities at, and there are plenty of scenic backdrops to take advantage of, particularly if you don't mind a bit of walking. Petrol and some shops available in Aston Clinton. Contributors: author, Alan Allen, Nick Challoner.